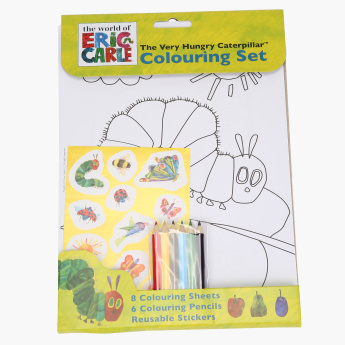 Alligator Colouring Set | Multicolour | Bring this caterpillar to life with filling in beautiful colors in this activity book. Teach your child to recognise colours and animals by getting this colouring set book. It has attractive graphics that will keep your child engaged and entertained while you're busy with your daily chores. 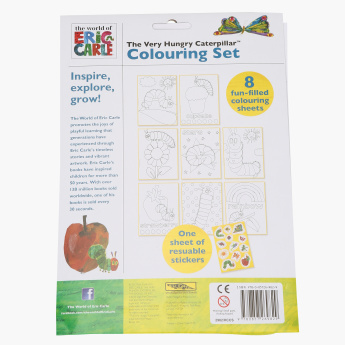 Feature 2 : The coloring set for kids includes 8 coloring sheets, 6 coloring pencils and several reusable stickers. 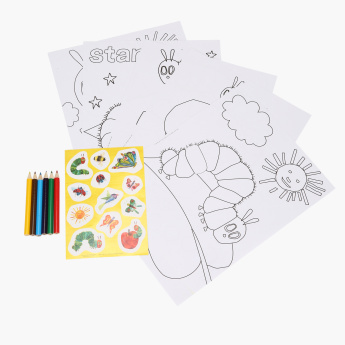 Feature 1 : Bring this caterpillar to life with filling in beautiful colors in this activity book.